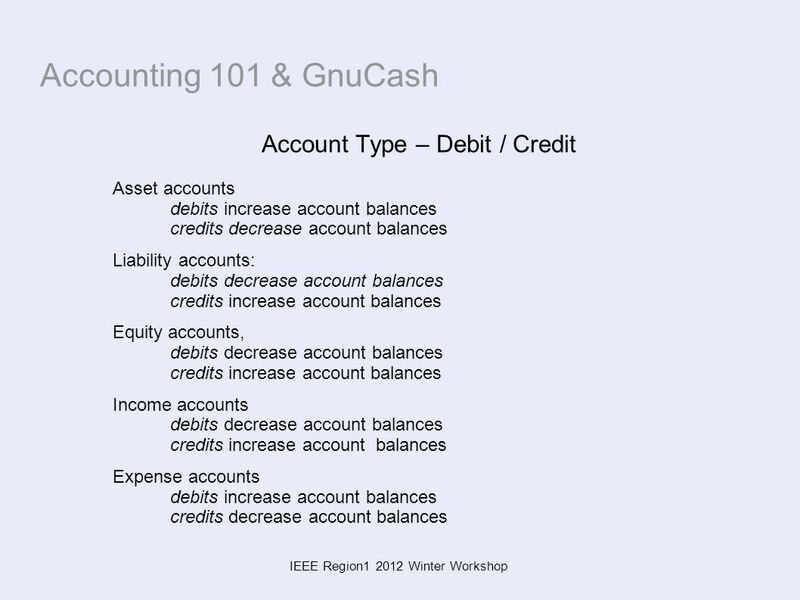 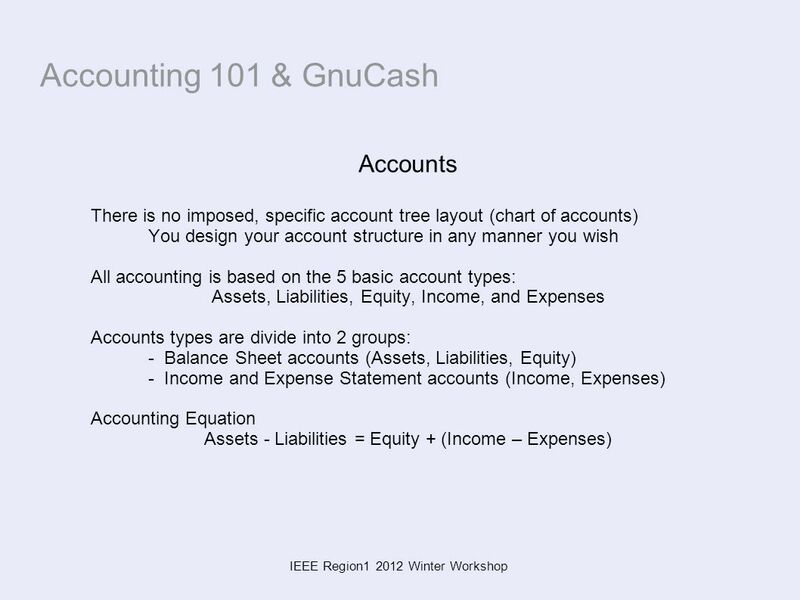 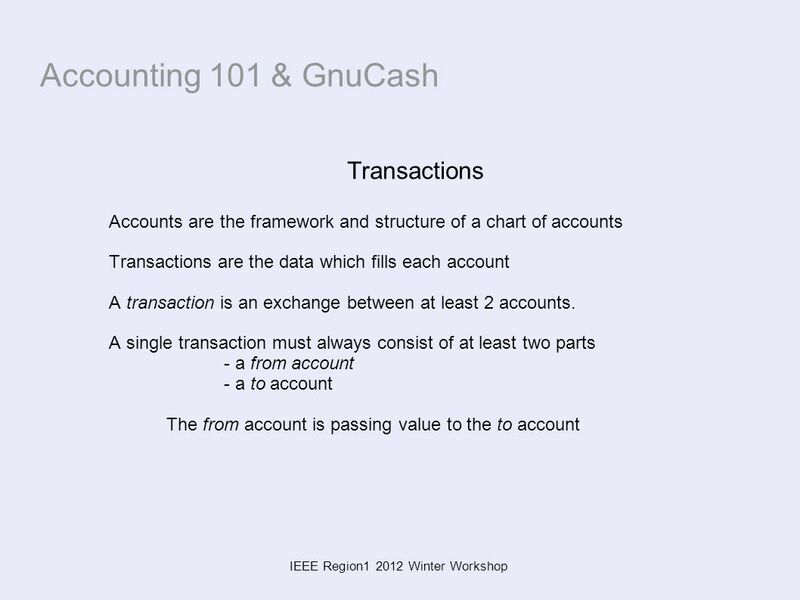 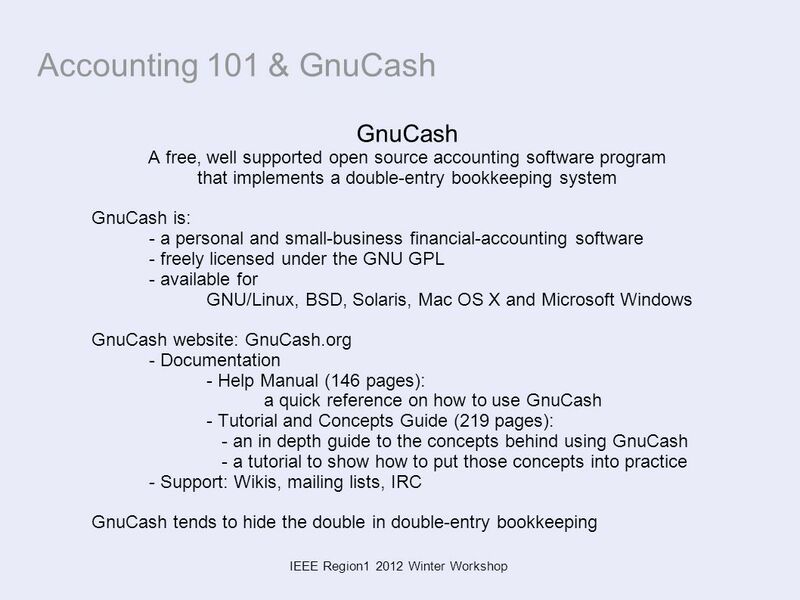 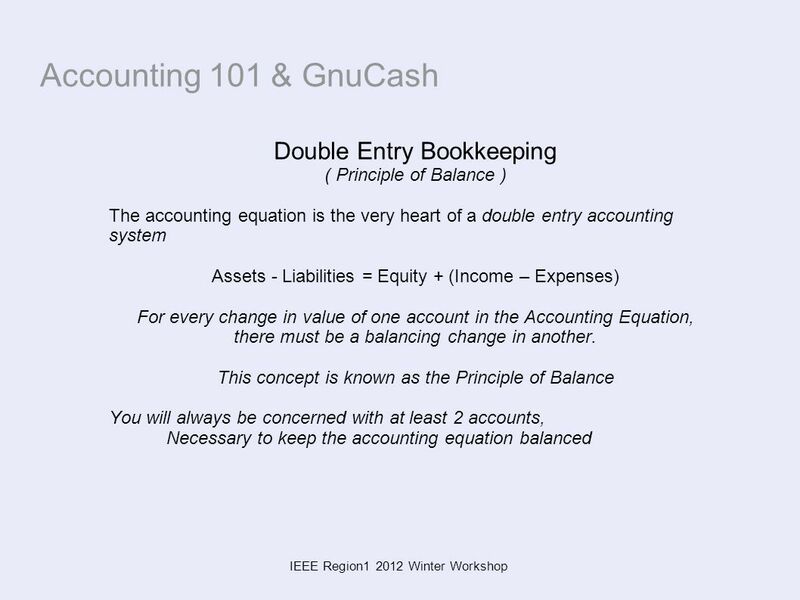 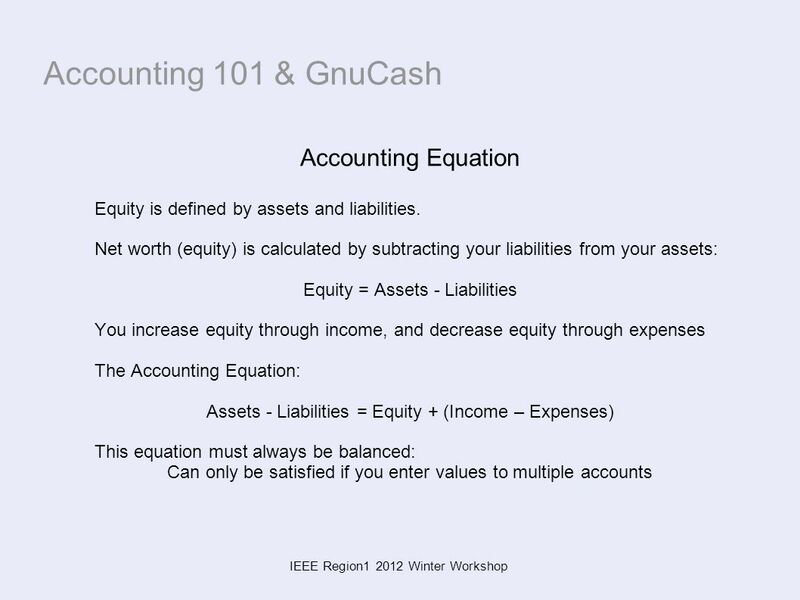 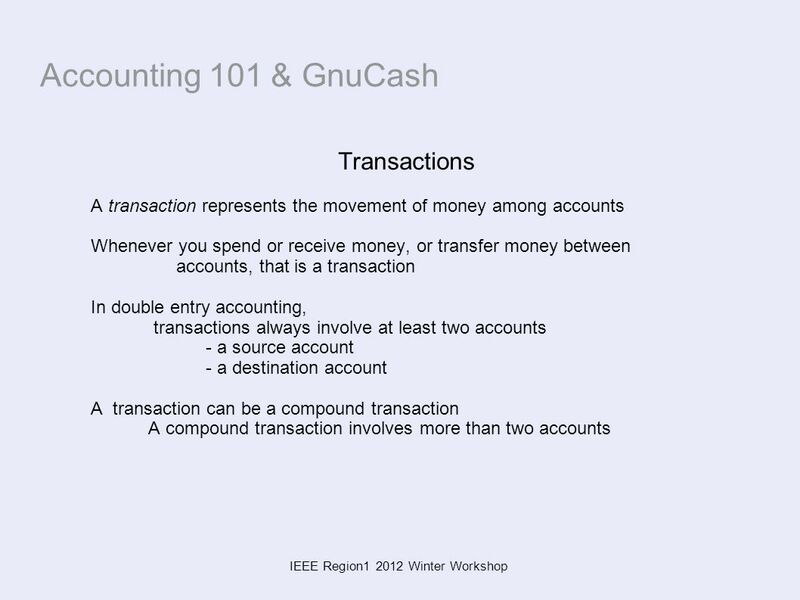 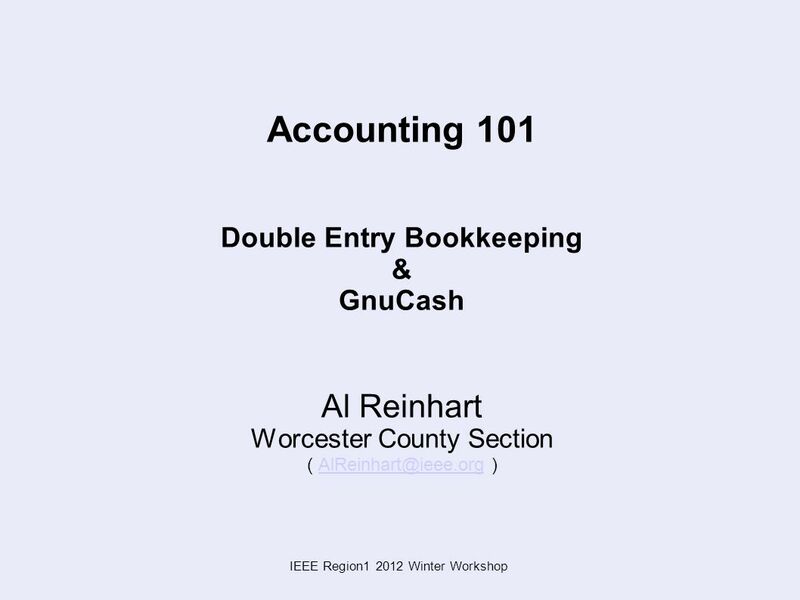 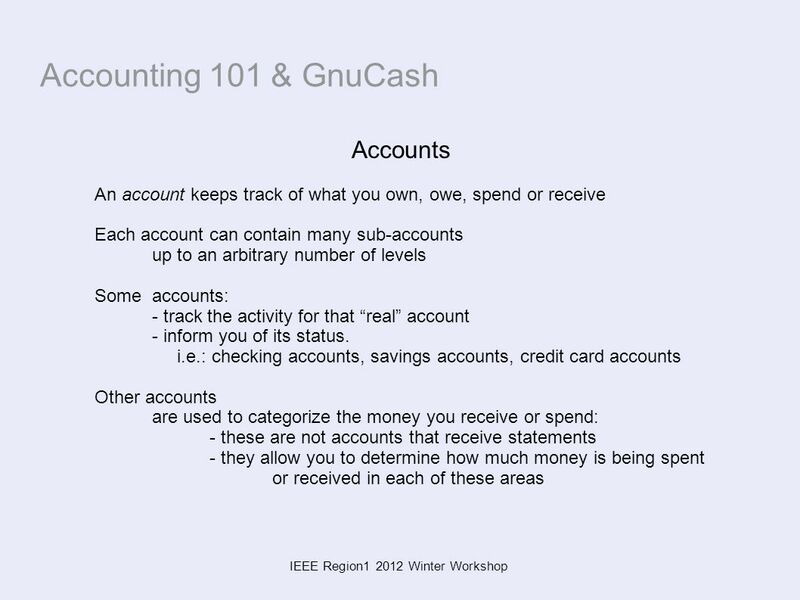 Download ppt "IEEE Region1 2012 Winter Workshop Accounting 101 Double Entry Bookkeeping & GnuCash Al Reinhart Worcester County Section ("
Cooley An equation showing the relationship among assets, liabilities, and owner’s equity. 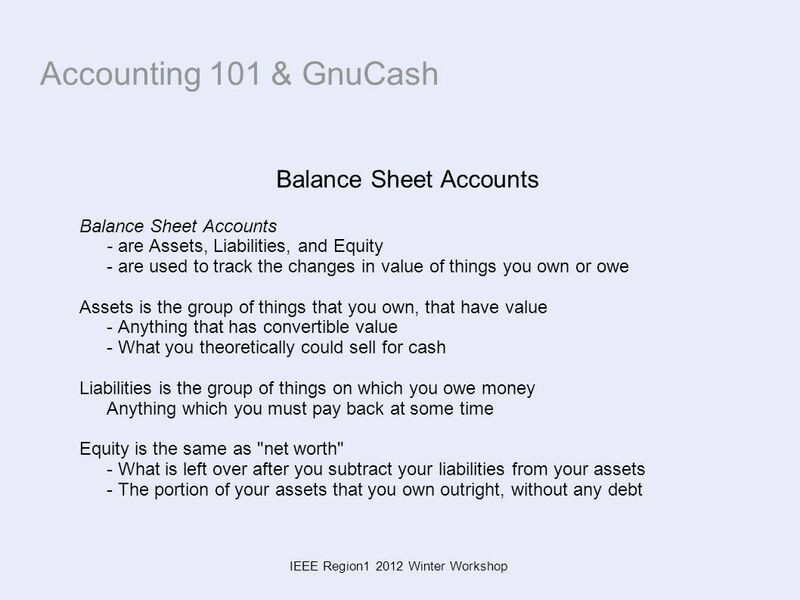 1 © Copyrright Doug Hillman 1997 The System of Accounting. 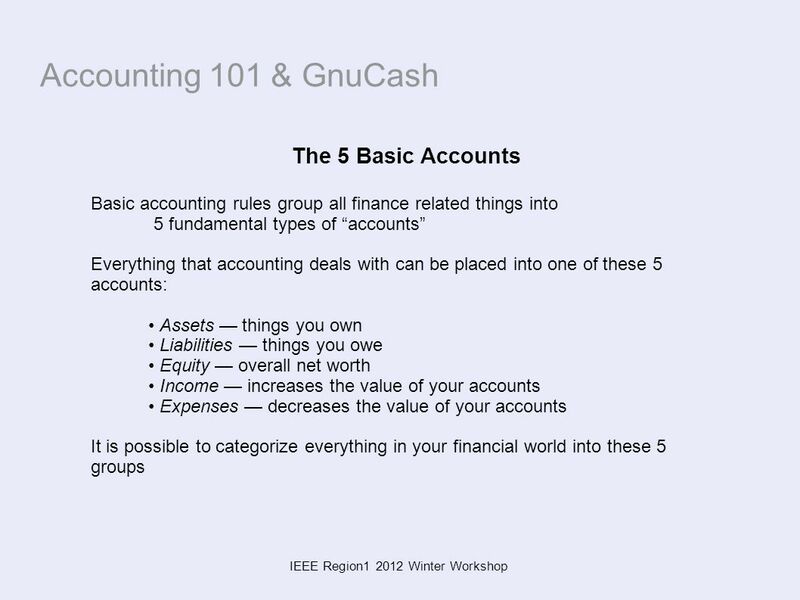 1 Understanding and Managing Finance 3 This Presentation is in Self-Study Form To start the presentation: Press F5 (Top Row of Keyboard) Then use the navigation. 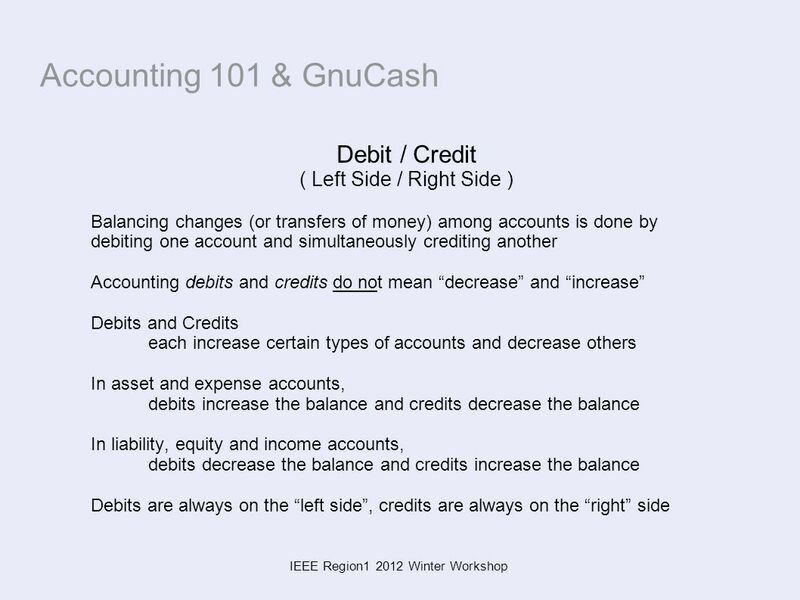 Understanding and Managing Finance Presentation 2 Brief Version. 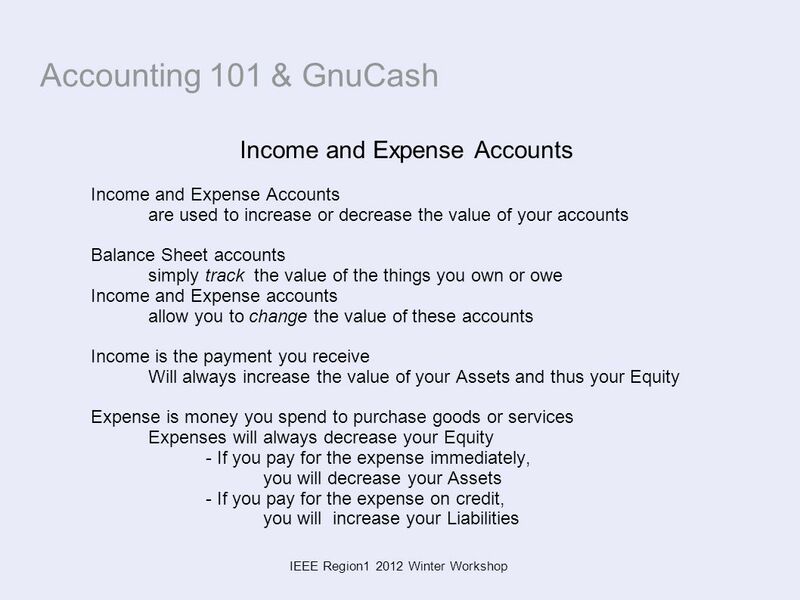 Understanding and Managing Finance Presentation 2 Self-Study Version. 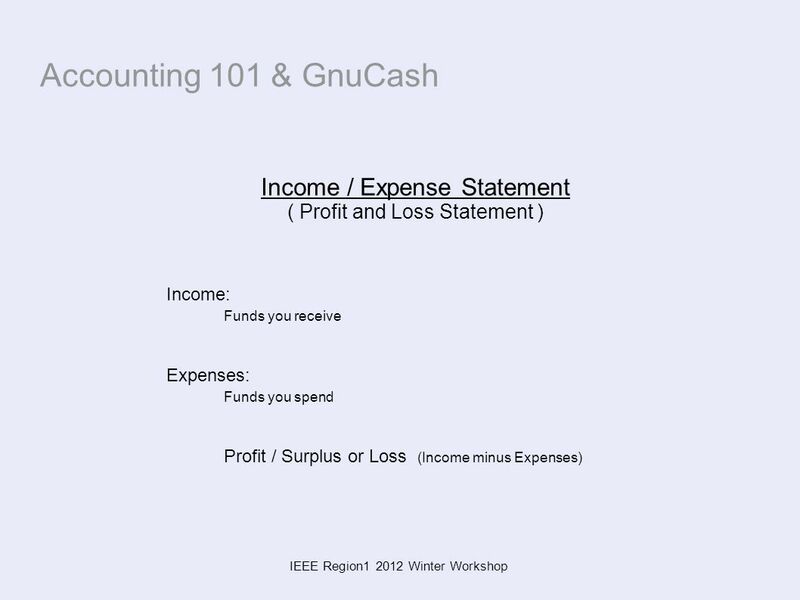 Financial Statements for a Sole Proprietorship Why It’s Important Financial statements provide the essential financial information necessary for sound. 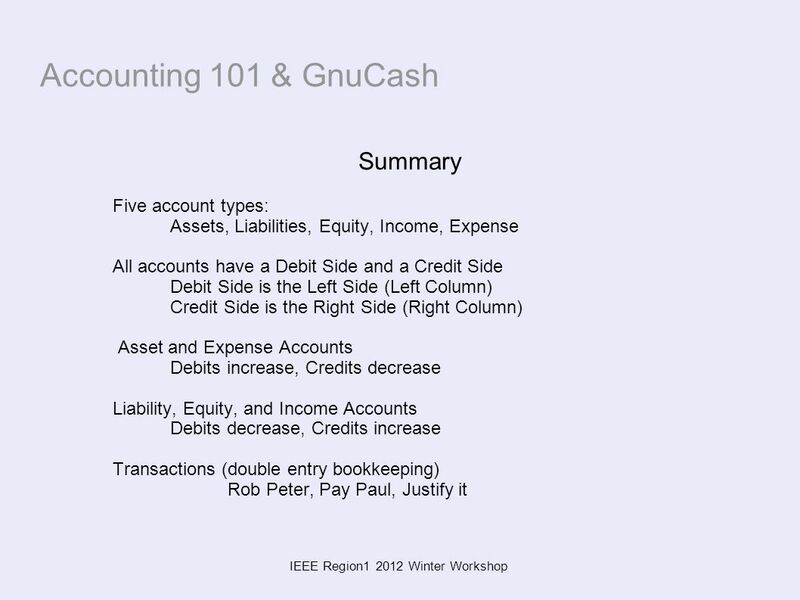 Accounting How much money did a business make in a year? 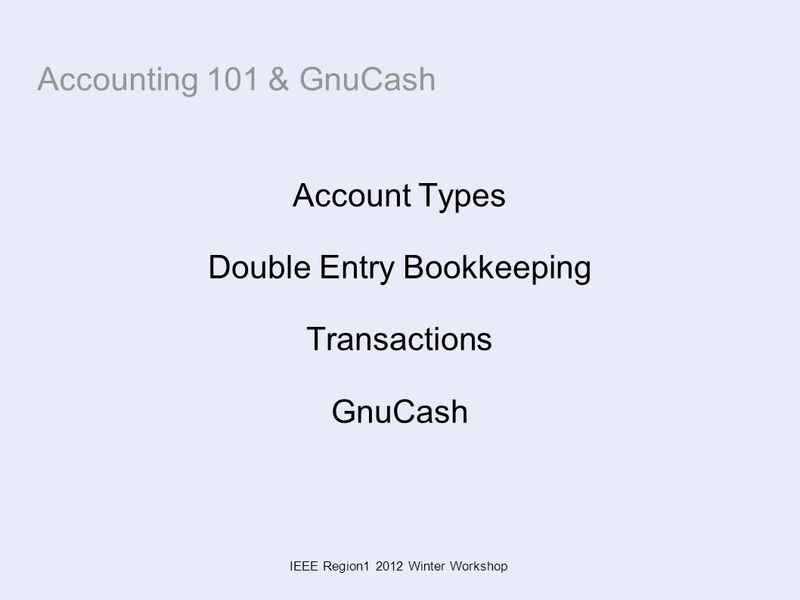 How much money did a business make in a year? 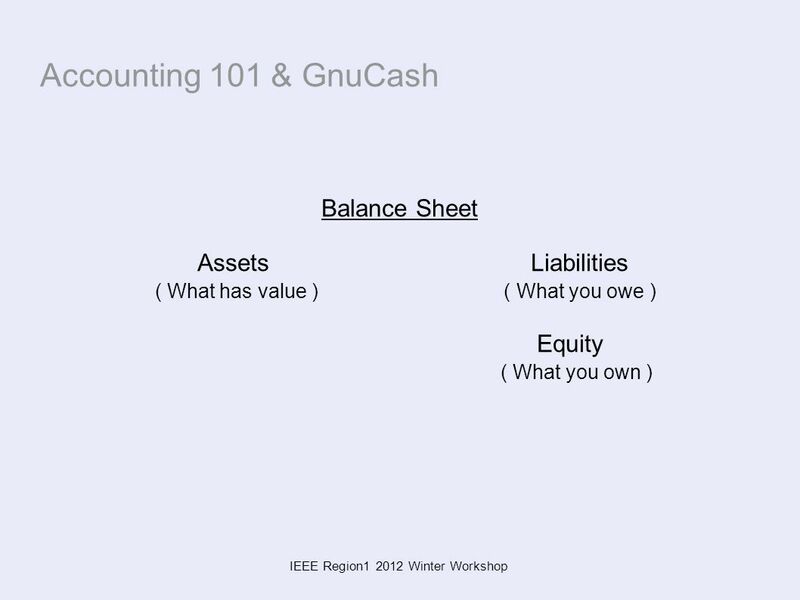 How much can a business afford to spend on a new.